A hydraulic cutting press machine can work more than twenty years,but you have to know the routine maintenance of the hydraulic cutting machine and the idea of lengthening the service life. 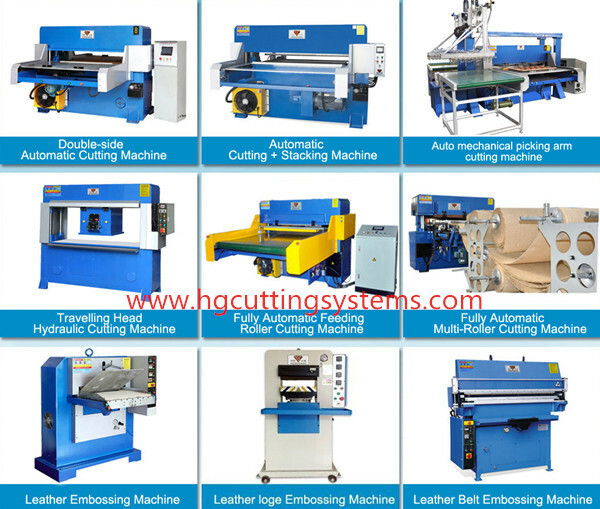 The routine maintenance of the cutting machine is handled by the operator. Operators must understand the equipment structure, to comply with the operation and maintenance procedures. 1,before the start of work (shift or intermittent work) to check the main parts of the machine, filling the oil. 2,the operation in strict accordance with the equipment to operate the use of equipment, pay attention to observe the operation of equipment, identify problems in a timely manner or reported. 3,before the end of each class work should be carried out a cleaning work, and the friction surface and bright surface coated with oil. 4,the hydraulic cutting machine in the normal two shifts of the work of the case, every half a month to fully clean up the machine and check once. 5,such as the hydraulic cutting machine for a long time without shelving, all the bright side must be wiped clean and coated with anti-rust oil, with a plastic cover to cover the whole machine. 6,the dismantling of the machine shall not use violent demolition. 7,hydraulic cutting machine should be on time for hydraulic oil (the first three months, after each year once), check the filter is blocked and broken, the oil cylinder parts are oil leakage phenomenon.